The Server Security Specialist certification focuses on server security. Certified Secure again chooses a hands-on approach. By performing the most common attacks the participant will develop a thorough understanding of server security. 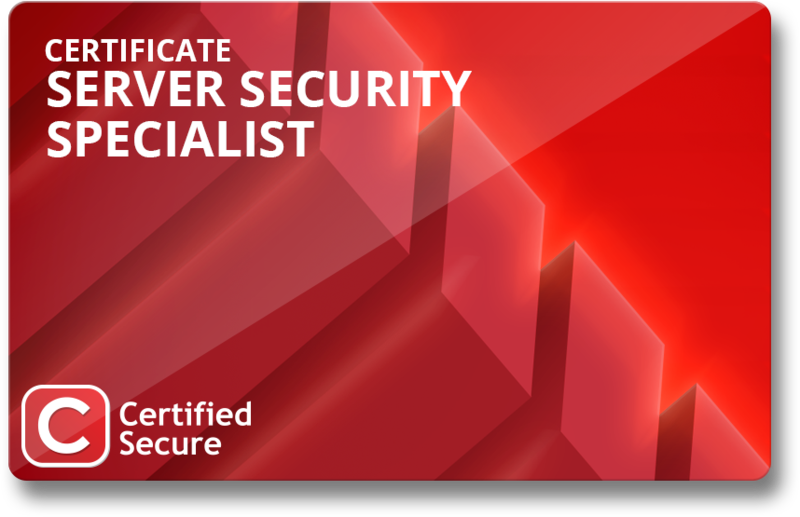 The Server Security Specialist certification guarantees a thorough understanding of (UDP) Port Scanning, Mail Relaying, Anonymous Uploading and Password Guessing. In combination with the Web Security Specialist certification it forms the basis for every security consultant. The fictional company "Shell4All" sells SSH shell accounts to her users. You score 100% by logging in while using one of these accounts. If you have basic knowledge of server security you should be able to complete this challenge successfully without difficulty.